Remember Best Glue Ever can be super useful around the house - not just for crafting. Recently our webcam came apart. The focusing cap came off the front of lens area. It still has to be able to spin, so it was essential to place the glue carefully on the inner lip, not inside the spinning part to avoid spoiling the mechanism. The fine nozzle on Best Glue Ever helps tremendously. I placed a tiny line of glue spots on both surfaces, and let them sit for while until the spots had turned clear and super tacky. Then when I joined the two surfaces, they grabbed and held, but the cap still spins as before. When adhering two non-porous surfaces, like plastic, sparingly place Best Glue Ever on both surfaces, and let it cure to clear and tacky before joining them. Just like a contact adhesive, without the strong chemicals or odors. 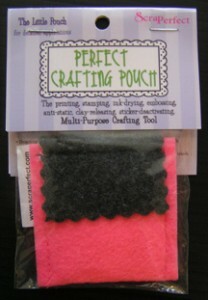 Tip 1: If you want better printing without the drawbacks, use The PERFECT CRAFTING POUCH! For information on the "Pouch", visit our website to check out ALL the videos, FAQs, and the complete product description. You'll find TONS of tips, techniques, and projects! 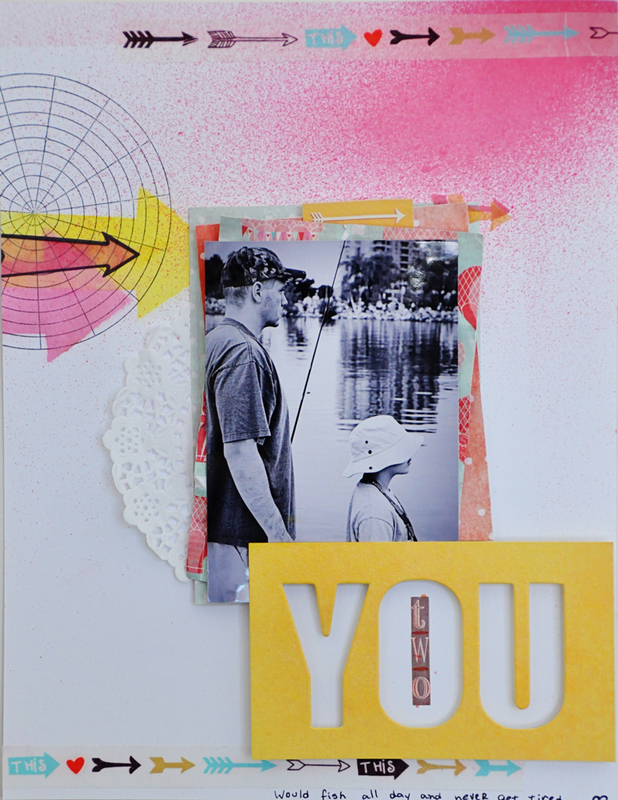 Tip 2: Use only "inkjet vellum". These are made specifically for this ink and will produce a crisp image. Drawback: Inkjet vellum still takes a long time to dry!!! Also, it can only be made in plain pastels. No pearly coating, no embossed images, no metallic coating, no designs., no sparkle. These tend to be more expensive. Tip 3: Use the "right side" of the vellum. If you can find a side that has a less shiny side, use it. Drawback: You will probably be frustrated trying to find that side. It probably doesn't even exist. Tip 4: Don't use big, wide fonts as thinner lines won't show the resisting as much. Drawback: If you want big, bold fonts for your title, who wants to crimp their style? Tip 5: Since the ink takes a long time to dry and is apt to smear when it's wet, do not touch it until it is totally dry, or use embossing powder and a heat gun. Drawback: Waiting to use your vellum--sometimes for hours or days--can be a drag. And while embossing can be attractive, who wants to have to do this everytime you write your journaling? Tip 6: Buy markers specifically made for vellum. Drawback: It is expensive to buy special markers and your storage space may be limited. Tip 7: Buy pre-printed vellum and transparency quotes and titles. Drawback: Pre-printed supplies can be expensive and are not personalized for your projects. When you buy packs of quotes, you may find some you love and discard the rest (or forever store them). Tip 9. Since most ribbon and twill tape bleeds when printed on with inkjets or stamps, buy pre-printed supplies. Drawback: Pre-printed supplies are expensive and may not say the words you want. 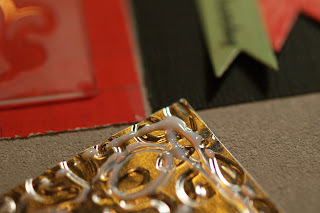 Tip 10: Reserve mulberry paper, shiny holographic papers, cool acrylic-coated, flocked papers, other specialty papers, clay and wood for backgrounds and embellishments and don’t try to print on them. Drawback: Limiting your usage means you’ll have fewer opportunities to use these cool materials. Tip 11: Buy shrink plastic specifically made for inkjet printers or use sand paper to rough up the surface so the ink adheres better. Drawback: Inkjet-specific shrink plastic may me less commonly available and more expensive. You may already have non-inkjet shrink plastic in your child’s supplies and sanding helps but can only do so much as the surface may still resist the ink. 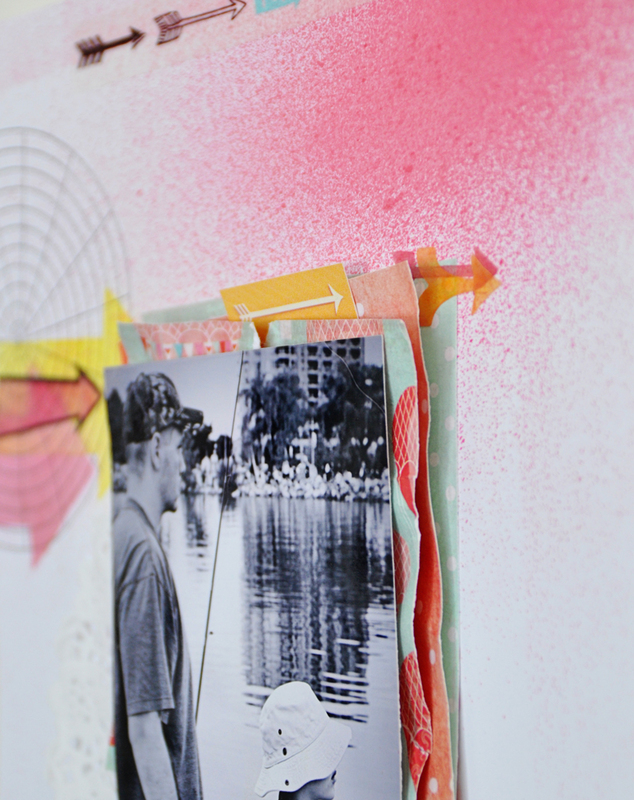 Tip 12: Use stamp ink specifically designed to stick to more difficult surfaces. Drawback: Buying special inks in all the colors can be costly, and your storage space may be limited. In addition, the pouch even improves the crispness of STAZ-On on acrylic. Tip 13: For vellum and other shiny papers: Try printing on transparency setting as this puts out a lot less ink. Drawback: The printing is not so bold and dark and still takes a while to dry; it may not be an improvement over normal settings--especially if you smear them while waiting for them to dry. Techniques & Materials Sampler uses the Best Glue Ever! Last month I was at a girl friend's house and saw a project she had created in a Tim Holtz class...a sampler that used his embossing folders, inks, and stamps...and I decided to create one for myself. I am a big fan of Spellbinders products for my papercrafting, so my Techniques & Materials Sampler uses my collection of M-Bossabilities and Spellbinders Die Templates. I built the sampler on a piece of Grungeboard and it features a lot of different background materials - metal, cardstock, paper, cardboard, and cork. I used the Best Glue Ever to attach each square in the patchwork. The embossed pieces were a bit of a challenge to attach, because of the uneven surface. The BGE was perfect for them. I doodled a thin line all over the back, waited for it to dry clear and tacky, then adhered them in place. There were also a variety of materials that needed to be adhered on top - canvas, glass, cardstock and metal - and BGE did not let me down! I am gradually sharing the details on each of the blocks on my blog. Drop on by if you would like a closer look! HI everyone! Dani Donner here today to show you something super cool I found out the other day. I have to admit, I'm on a full swing crush on Vellum these days... It's so delicate and it makes a pretty neat effect on our pages. My problem was, how to attach it to my layouts without loosing the translucent effect o the vellum and without the adhesive showing? Well, the answer was right under my nose: Best Glue Ever!!! I managed to take some pictures of my family at Christmas that I love because they are so happy. This has been a challenging holiday because of my mother-in-law's illness and passing, but she died as much at peace as was possible, and I am grateful that my husband and daughter were still able to find so much joy of the season. I've used the last of my heart corsage pins - need to find more of these. The papers I used are a mix of mostly Recollections "Twelve Days of Christmas" and "Naughty or Nice" stacks, with a little bit of The Robin's Nest "Fleur" and K & Company "Yuletide" (a couple of years old). "Twelve Days" especially has pages of journal tags and cut images, and they all have some nice built-in sparkle. 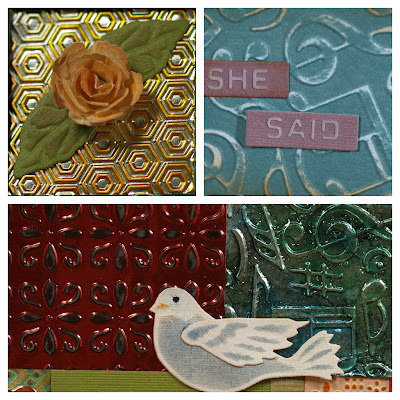 I had a few printed die cuts in my stash - I think they are Mambi - and I added some of the same Sugar and Cream yarn that I used for my holiday cards, as well as Dew Drops, Rhinestones, a few brads from Making Memories. Fussy cut image of our tree topper. I wanted the focus to be on the images themselves, rather than crowding them out with embellishments, so I did a clean and simple collage style layout, adding interest with 3D elements - Eco board and my favorite craft foam. 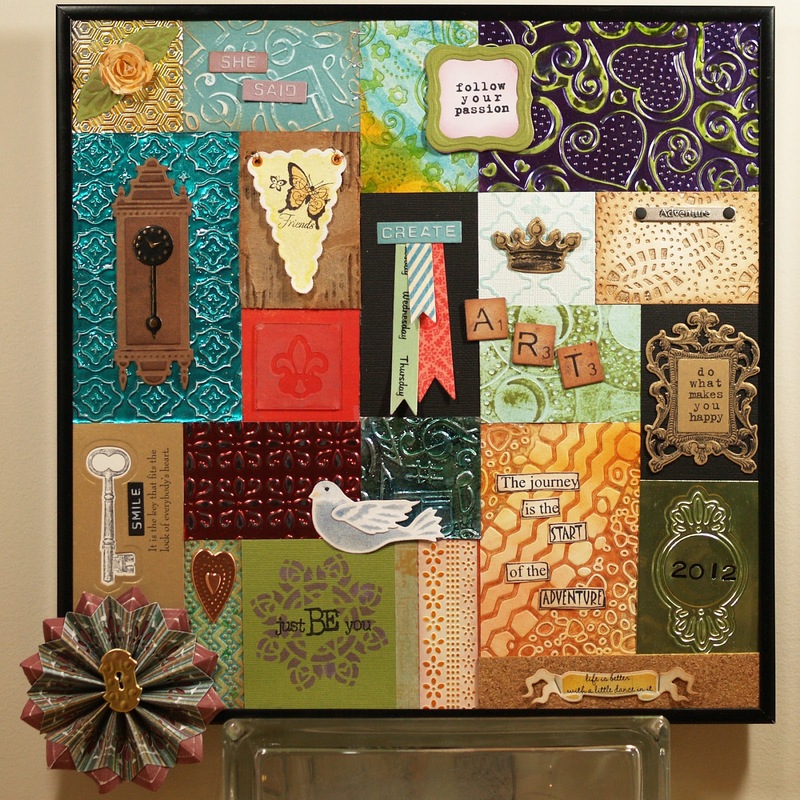 I put most of the embellishments in a border panel to one side of the photo collage. I used Best Glue Ever throughout - placing tiny spots of glue on the cardstocks, photos, foam, fabric rick rack braid, and plastic bling elements. As usual BGE holds everything quickly and without wrinkling. I placed the tiny elements with my Embellie Gellie. All three layouts were finished very quickly over the course of two short sessions. The last step with each page was to remove my fingerprints from the glossy photos with my Perfect Cleaning Cloth. It is remarkable how quickly the very soft cloth cleans the photos. I have washed mine several times and they are still soft and effective.